Jayride has promoted its marketing lead to a newly created executive-level role as part of the next phase of the transport comparison website’s growth. 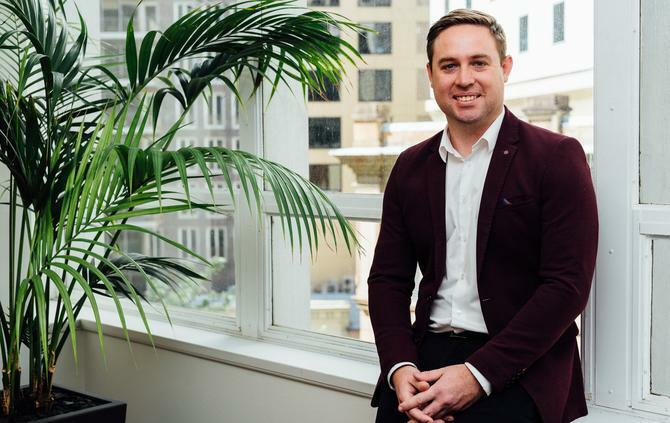 Head of marketing, Daniel McMillan, has been promoted to chief marketing officer to help spearhead brand growth globally. The appointment comes as Jayride celebrates its first year of trade on the Australian stock exchange and launches its airport transfer comparison website in over 46 countries. Jayride has produced what it claims is a world-first comparison engine and booking system for ride-hailing companies. Lyft, Gett, Cabify and Careem recently completed their pilot on the platform, with other prominent ride-hail brands expected to follow. McMillan has been with the group since 2015, building the marketing team from the ground up and leading marketing direction. He said he’s excited to be the one to drive it to the next level. “Having just past our first-year anniversary of being listed on the ASX we’re prioritising the development of our communications strategy. Jayride has been focused on delivering a world-leading global product, and now we can focus on taking that product to the world,” he told CMO. As Jayride expands its global footprint, it’s vital to build a strong brand that resonates with people globally, on a local level, he continued. “A big focus of mine is to elevate our brand purpose in the minds of consumers. We need to focus on communicating the right message, at the right time, to ultimately help people achieve a more seamless travel experience,” McMillan said. A major priority for 2019 for McMillan is to create a more integrated marketing platform that will allow the team to communicate important updates more frequently to travellers throughout their journey. “Our hope is that by improving the flow of communication to consumers, we will continue to drive lifetime value and increase brand loyalty,” he said. According to Jayride managing director, Rod Bishop, the group’s business model continues to get more profitable with scale. Just last week, the company also secured a $3 million finance facility from Pure Asset Management, funds that will be used to support execution of this more aggressive growth strategy. “As the company expands internationally by adding new airport destinations for travellers around the world, the key to improving our profitability is to leverage data-driven insights for highly efficient customer acquisition,” Bishop said. McMillan and his team recently won the award for Best Use of Data at the SEMrush awards for its innovative and creative approaches to managing and manipulating transportation data to deliver impressive marketing results, revenue and profitability at scale.